There was great news for the thousands of end users connected to the NBN's fixed wireless connection last year, when NBN Co announced that they’d see their data quota for each month doubled. 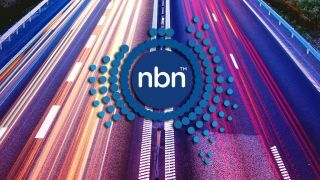 A year on and the national broadband service’s CEO, Bill Morrow, has revealed that the company will be canning the 100Mbps speed tier for the hundreds of thousands of Australians on a fixed wireless connection. Speaking to a Senate Estimates committee, Morrow said, “We killed it,” adding that “there’s not mass-market demand for 100Mbps services” in areas where the service is already active. Instead, NBN Co wants to concentrate on supplying 25Mbps speeds to customers in rural and regional areas, which accounts for nearly 600,000 premises. According to Morrow, there are currently “240,000 active users on the fixed wireless network today,” with that number expected to grow to 400,000 in the near future. “If you said for all those 400,000 users we want everyone to have 100Mbps speed to all use in the same concurrency levels in the evening, you would be blown away at the cost. It would just never happen,” he explained, adding that it would cost “billions and billions of dollars” of taxpayer money to maintain those speeds. While end users on fibre and cable – largely in cities and metropolitan areas – are opting for higher speeds, Morrow denies there would be a digital divide between cities and the country. According to him, regional Australia “had next to nothing” before the NBN service launched and what they currently have has “changed their lives”. While the NBN might be finding ways and means of making sure the rollout happens on time with the least number of glitches, the service has not been without drama for cable, fibre and fixed wireless customers, with delays, connection issues and lack of speed. Despite all the fracas, NBN Co announced in January this year that it expected nearly half of its fixed-wireless base to be served by the 100Mbps speed tier by the end of its 2020 rollout, yet the nearly 300,000 customers still waiting for an upgrade will now no longer have the option. NBN Co will, instead, concentrate on supplying most metropolitan users with at least 50Mbps, while those on fixed wireless will generally have to be satisfied with at least 25Mbps.